HDTV Supplys WolfPack HDMI AOC product is HDMI active optical cable (AOC) with high performance, low power consumption and low cost. Using optical fiber to replace copper wire as the high-speed signal transmission medium, HDMI AOC can perfectly transmit 4K@60HZ UHD images. These Long HDMI Active Video & Audio Optical Cable extends an HDMI signal up to 66 feet & offers all the benefits of HDMI 1.4 High Speed functionality but without the high cost of glass fiber active active cables. The cables diameter (1/4"") is much smaller than copper & more flexible which makes it easier to install in tight spaces. Compared with the traditional copper wire, HDMI AOC is much longer, softer, more slim, with better signal quality and perfect EMI/EMC feature.Compared with other HDMI optical fiber transmission solution, HDMI AOC is easy to use, has perfect compatibility, and no external power supply needed. Uses fiber for transmitting of the high speed clock and data channel which assures the received signal to be the same. Uses copper wire transmission of the DDC and other signals which achieves perfect Compatibility with all HDMI devices. 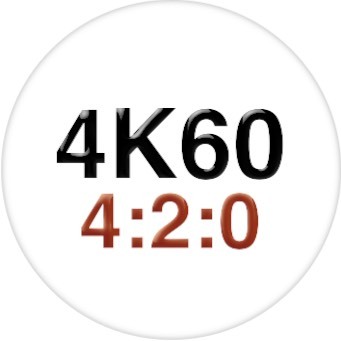 Video Resolution - 4K@60Hz 4:2:0 UHD, 4K @30Hz 4:4:4 8Bit, full HD, 3D Deep Color across all lengths. High Data Transfer Rate - Up to 14Gbps. Embedded Audio - PCM 8−channel, Dolby Digital True HD, DTS−HD Master Audio. No External Power - HDMI +5V, consumes only 0.25W. Much longer transmission distance than copper wire. Same applying way as coppe,no external power needed. Thinner, softer and lighter than copper wire, and highly resistant with EMI and RFI. These WolfPack HDMI Active Optical Cables carries all high-speed signals on optical fibers and is much smaller and lighter than comparable copper HDMI cables or extenders. At the same time, our proprietary plastic optical fiber technology costs a fraction of competing optical solutions. Our HDMI Active Optical Cables are the first product to bring the benefits of optical communications to a low-cost HDMI link. 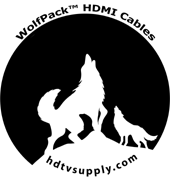 Why not buy a WolfPack HDMI Active Optical Cable today? These long HDMI Active Optical Cables use both high-speed plastic optical fiber and copper wires to deliver 10.2 Gb/sec video bandwidth as well as many of HDMI 1.4 HDMI features including 1080p resolution, 3D, Deep Color, x.v color (xvYCC), Dolby TrueHD, DTS-HD Master Audio, HDMI-CEC, and HDCP. 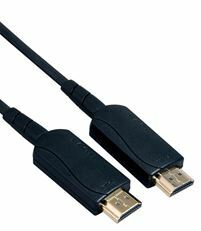 This long HDMI Active Optical Cable is designed with both commercial installation and videophile consumer use in mind and is perfect for distributing A/V in conference room or classroom settings, yet affordable enough for consumers to use in home theaters. The HDMI Active Optical Cable uses optical fiber communications and shielded end casings to provide immunity to electromagnetic and radio-frequency interference, so it can be reliably used in challenging environments such as hospitals, factories, and data centers. In a home theater installation, this optical cable reliably provides error-free transmission in even the most densely packed systems. Many A/V surround sound receivers with HDMI switching that include the proper chip set and output amp. Call your AV receiver supplier to discuss your application or us. Any HDCP compliant HDTV, monitor and projector. If the source is HDCP compliant and your TV is not, you will not get a picture. Please check your TV manual or the manufacturers web site. For explanation pictures see 3D FORMATS. DirecTV models HR21-100 and the HR24 high definition receiver. It works with all HDMI devices including the new 3D units. The 3D viewing results were awesome in our lab and did not have any picture or audio degradation. The normal and standard (2D) results equally exhibited a superb picture quality. HDTV Supply includes a 3 Year Limited Warranty on this HDMI Active Optical Cable. The warranty states that (a) its products the will perform substantially in accordance with the accompanying written materials for a period of 3 years from the date of receipt and (b) that the HDMI Active Optical Cable will be free from defects in materials & workmanship under normal use & service for a period of 3 years. In order to get a warranty replacement for a defective item, HDTV Supplys Support Team will verify the product is eligible for warranty. An RMA number will then be issued. Shipped replacements will be in like new conditions, tested and all components included.